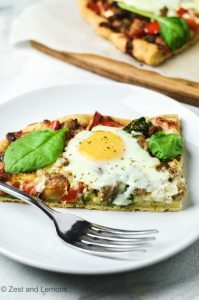 This is no regular breakfast pizza, this is a gluten and grain free breakfast focaccia! 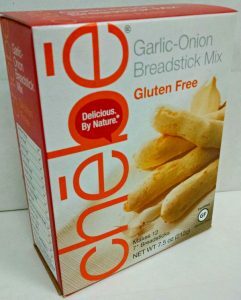 Chēbē Focaccia dough has great flavor and texture. 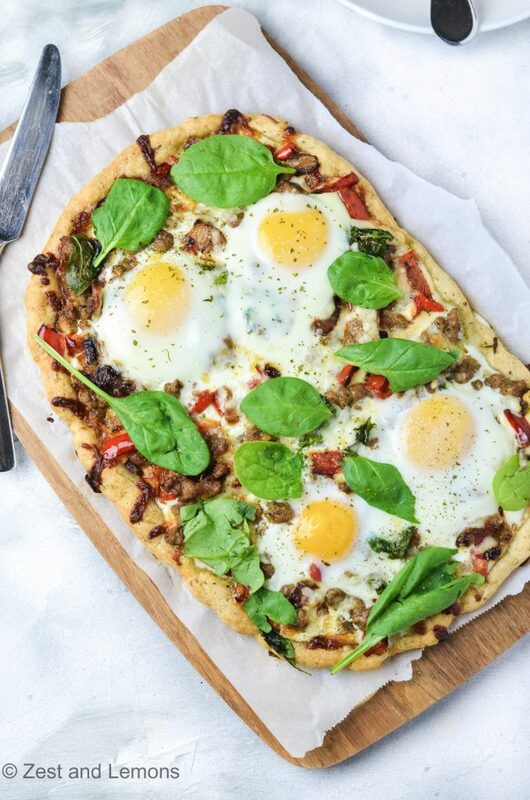 It is seasoned with rosemary and basil, and on top we loaded it with onion, peppers, breakfast sausage, and eggs. Great for breakfast or for a hearty brunch, you can have it like this, or use your favorite breakfast fixings. This is definitely a tasty way to start your day! Preheat oven to 375F. Line a baking sheet with parchment paper and set aside. In a large skillet, sauté the onion in 1-2 Tbsp of oil over medium-low heat until translucent and almost completely cooked. Add the red bell pepper and continue to sauté until the peppers have cooked a bit and the onions are soft, but not cooked so long that they caramelized. Remove onto a plate. Add the sausage to the skillet with the additional oil as needed, breaking it up as you sauté until the outside has browned and the inside is almost fully cooked. Drain and add to the plate with your onion and red peppers. Add a pinch of salt or to taste, if desired. Set aside. 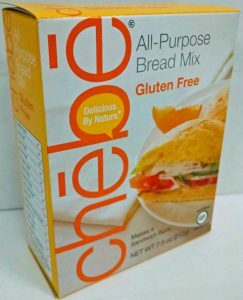 Make the Focaccia mix according to the package directions. I tend to add an additional 1 Tbsp of water to my mix if it’s too dry. 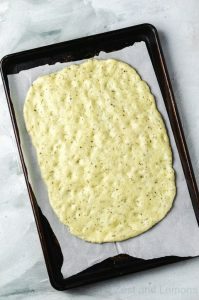 The dough may be slightly sticky if you add water, so rub some olive oil across your hands as you press the dough out onto your baking sheet to roughly create an 8”x11" rectangle. Brush the top of the dough with some olive oil. 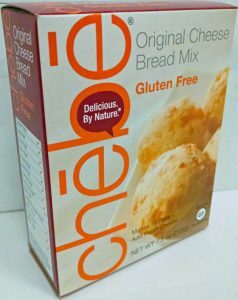 Add the shredded cheese over the top of the dough. Scatter the onion, red pepper, and sausage evenly over the top of the cheese. Make four 2-inch balls of crumpled tinfoil and lightly grease them with some olive oil. Lightly press the balls into the dough in 4 places (I go by each side, but not too close to the edge) to make a few small wells. Transfer to the oven and bake for 18 minutes. Remove from the oven and carefully discard the tinfoil balls. 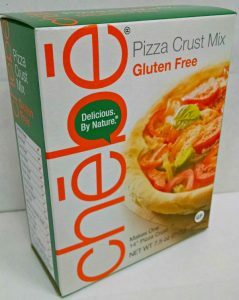 I like to add a little additional shredded cheese around the wells and across the top of the pizza, but this is optional. 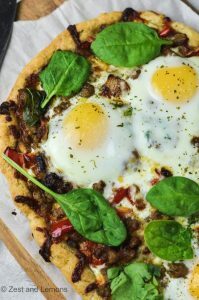 Crack one egg into each of the small wells (it’s ok if some of the egg whites spread across the pizza). Season with a small pinch of salt or flaky sea salt, some freshly cracked pepper, if desired, and return to the oven for 15-17 minutes until the eggs have set but the yolks are still runny. Remove from the oven. You can add any of the additional or optional toppings. I add some spinach and dried parsley (the spinach will start to wilt over the heat of the pizza, but you can add a drizzle of olive oil if you’d like). Serve immediately. If you prefer a more well-done yolk, pull the focaccia out of the oven 4 - 5 minutes earlier in step 4 and add them back to the bake time in step 5. I find it so hard to give focaccia the right “point”, mine usually gets too dry. I will try this recipe tho! Maybe reduce oven time and/or temp?